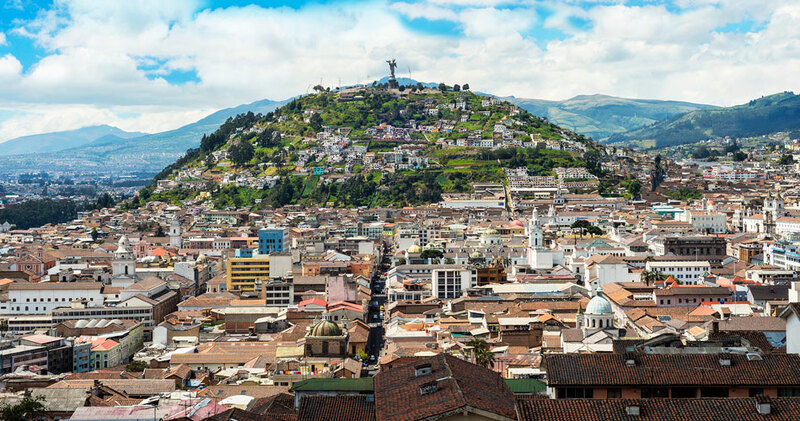 Located in the Center of Quito, the old city holds the essence of the main capital with amazingly well conserved structures like no other place. 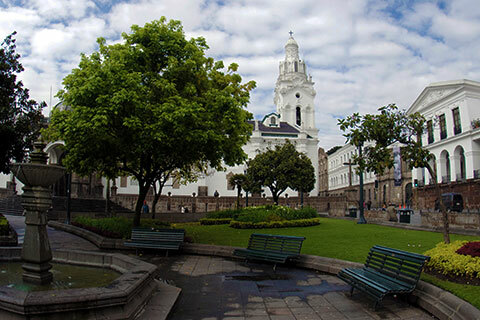 With a world world recognition as the best conserved historic Center in Latin America – has created great awareness and a positive effect among local authorities, ongoing conservation efforts have been carried out to restore and protect the integrity of Colonial Quito. Dating back to the 16th century the old city breathes history with a fusion of Spanish, Italian, Moorish, Flemish and indigenous art. 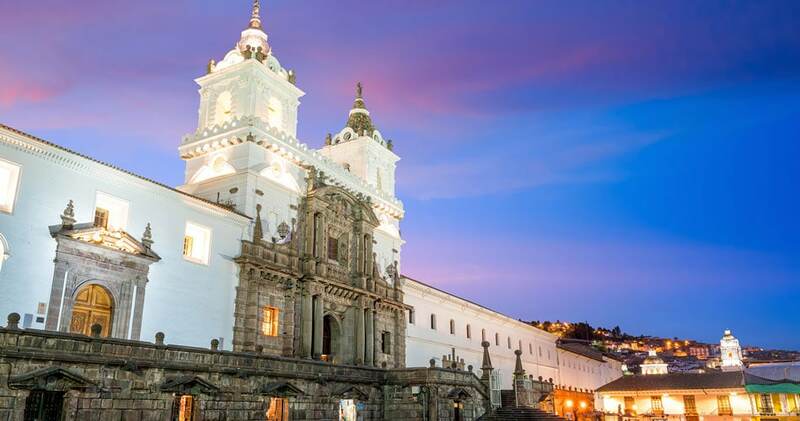 The monasteries of San Francisco and Santo Domingo and the Church and Jesuit College of La Compañía with their rich interiors are pure examples of the so-called ‘Baroque school of Quito’, a fusion of European and indigenous art. 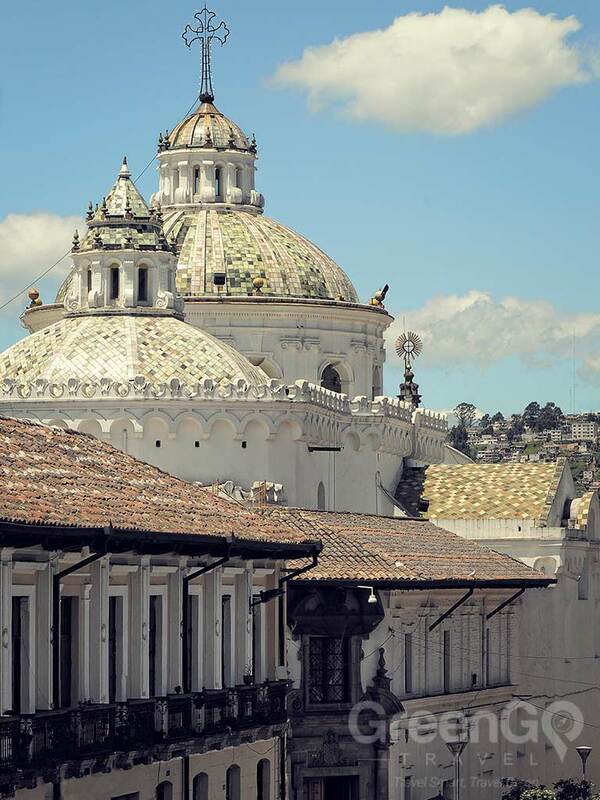 La Compañía is probably the richest church in South America with its golden altar. The public buildings are of the heavy Spanish type. Facing on to the principal square are the cathedral, the government palace, the archbishop’s palace and the city hall. 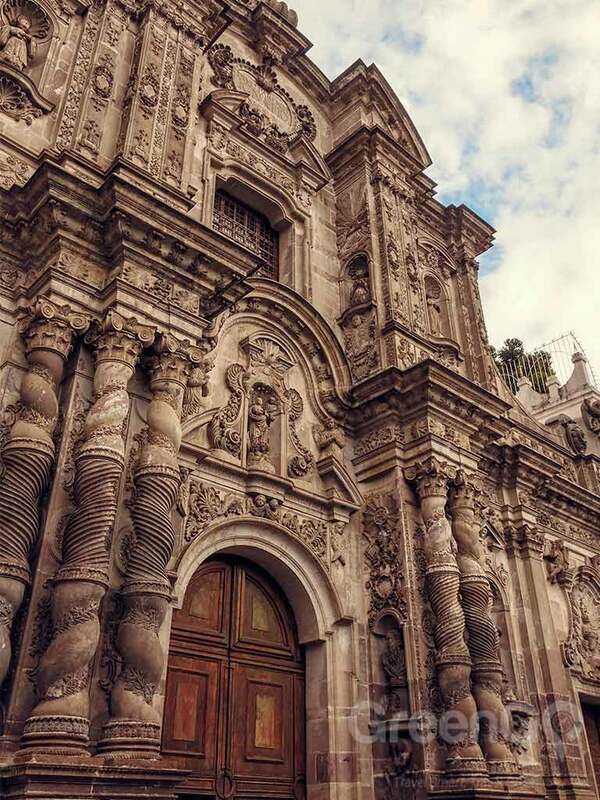 The finest building in the city is the Jesuit church, the facade of which is covered with elaborate carving. 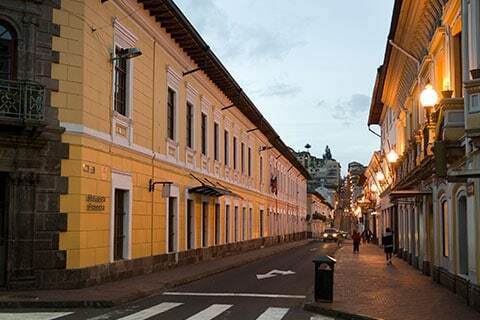 With so much to see and do, the old city is highly condensed in a relativity small area that allows visitors to sweep the area by walking in the surroundings. Very narrow streets are common throughout the old city, mainly for their old structure that do not cope well and tend to get choked with traffic, so walking is usually the best way of getting around. Pickup: A 20 minute ride from the new city, traffic dependent. 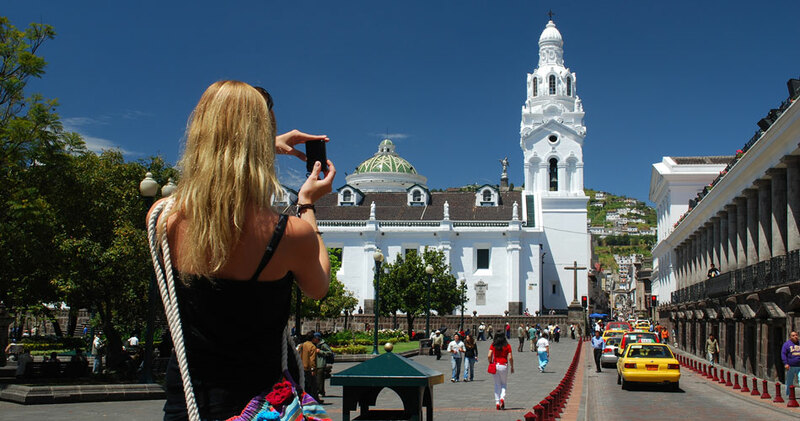 Plaza: Visit Plaza San Fransisco and the surrounding attractions. Presidential Plaza: The government palace & other impressive structures in surroundings. 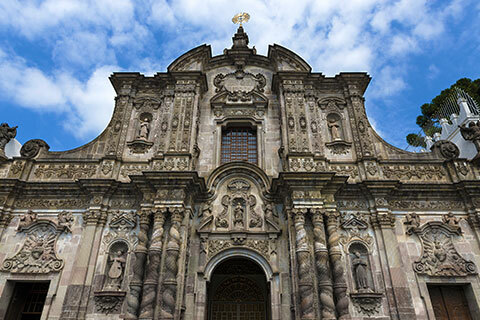 Cathedral: A visit to the cathedral & other monasteries & churches. 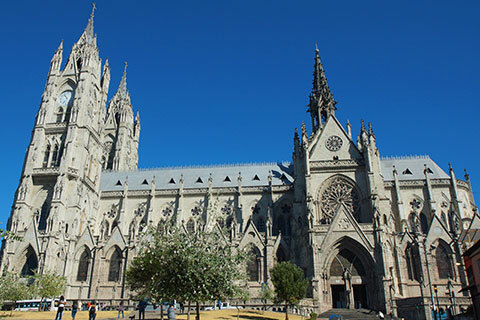 Basilica: A stunning Gothic church, the largest one in the Americas. Crosses Street: A walk through the street of the 7 crosses. 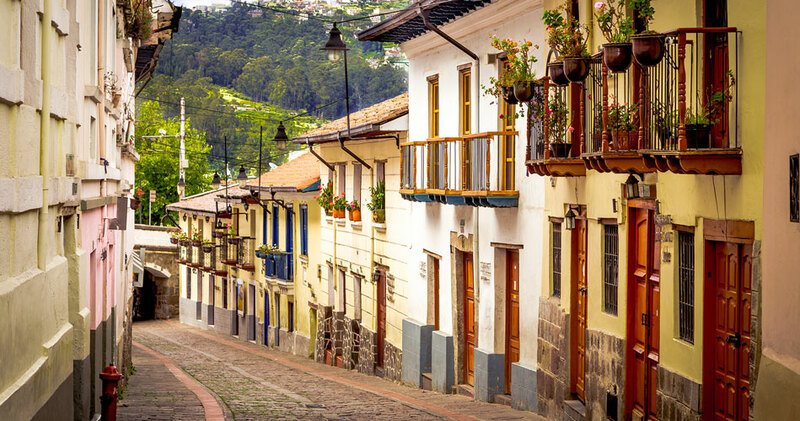 La Ronda: Walk through the historical streets of La Ronda. *Optional: Full day available if combined with The Equator!